Trade liberalisation processes impact differently on men and women due to the fact that men and women have different roles in production. Despite the fact that women are actively involved in international trade, WTO agreements are gender blind and as such have adverse impacts on women. The General Agreement in Trade and Service (GATS), for instance, provides for a level playing field in service provision between big foreign owned companies and small locally owned companies. This exposes female service providers to unfair competition from foreign service providers in sectors such as education and health. Trade Related Investment Measures (TRIMS) also advocate for liberalisation of investment, which ensures equal treatment to local and foreign investors. This has a serious impact on women, as they are concentrated in small and medium enterprises, resulting in implications for women's access to land and other resources. The first part of this paper presents an analysis of the impacts of WTO agreements on women in developing countries. 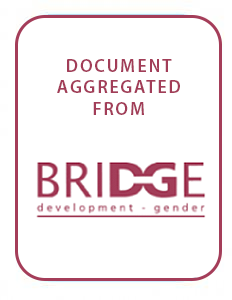 Provisions of specific agreements the impacts on women are outlined. The second and main section of the paper is a compilation of case studies on the impacts of trade liberalisation on women in Africa.